Sadly, many people have to litigate wrongful death cases, where the lives of loved ones end prematurely due to the fault of another. Nothing can bring that person back. However, there are legal remedies in place to provide some compensation to the surviving family members, dependents and loved ones. The following is a list of questions to ask any potential personal injury attorney who will handle your wrongful death case. What Is Your Experience Handling Wrongful Death Cases? Wrongful death cases are unique. They are complex civil lawsuits that require an extraordinary level of skills and expertise. For example, wrongful death cases come in one of two forms. In the first, the victim has not died but has suffered severe physical harm deserving compensation through the law. In the second, the victim dies. Both forms may be fully compensable. But it’s not always easy to ensure the protection of all legal rights or that the interaction between the two forms is fully understood. Also, the best witness to what went wrong is gone. They are unable to testify or provide much information about what happened. This means alternative investigations must take place to figure out what went wrong and who is responsible. Finally, the calculation of damages is often more complex given the often higher amounts and additional types of damages that may be available. 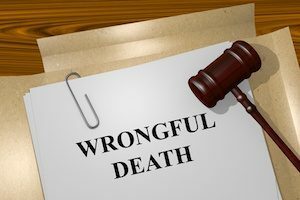 Most wrongful death attorneys will charge a contingency fee. A contingency fee is a percentage-based fee. The attorney doesn’t get paid unless the plaintiff gets paid. The attorney’s fee is usually about 33% of the total amount the plaintiff gets. However, you will need to make sure the attorney’s fees are reasonable in light of the anticipated litigation risk and the amount of work involved. Sometimes it is clear how a wrongful death case will go. Then, the attorney’s primary job is to make sure everything moves smoothly through the court system and to answer the phone when the defendant calls to negotiate a settlement. In other situations, the wrongful death cause of action is very questionable. Then, it will require the use of highly trained special witnesses and scientific reports. In the first type of situation, an attorney should not charge the same percentage as an attorney in the second type of situation. What Kind of Special Consultants Do You Have? ● and explain how the victim died and who might be responsible for that death. Almost all wrongful death attorneys will have special consultants with whom they work. But the more successful attorneys will have high quality consultants whom are easier to work with. They are also more credible and have better reputations within their respective industries and areas of experience. If you have lost a loved one because of the fault of another, schedule your complimentary consultation with our legal team at Williams & Williams, LLC, by calling 770-823-2711 to discuss any wrongful death cases you may have.